Download an app. Launch it. Log in. Fill in your vehicle info and chose a time. In five minutes, you can make an appointment for on-site car washing services! And the cost can be crazy low: 1 RMB! This has attracted a lot of early adopters. And this is not only cheap compared to washing stations (15-30 yuan), but it can allow you to save a lot of time, as you don’t need to queue at the car washing station. If you live in Beijing, you have probably noticed these blue pads around cars and an electric tricycle nearby. If you drive in Beijing and you own a car, this is definitely a must-try service! How does it work? In accordance with the agreed time, a car wash worker driving electric tricycle will reach the agreed location. The car wash equipment is all set in the electric car: vacuum cleaner, cleaning agents, water tanks and other tools. In less than half an hour, the car will been washed perfectly. The mobile car washing stations also recycle the water and they can wash up to 10 cars with a tank of water. However, some sources report ongoing investigation to understand from where the workers take their water and where they release the used water. There is also unfair competition, as car washing stations have to pay higher prices for water (up to 160 RMB / ton) than residents (4 RMB / ton). 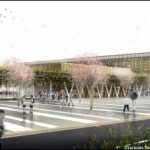 We trust that Beijing Water Authority will quickly find a way to address this issue! China Chain Store & Franchise Association made a research on auto after-sales market in 2014: the report says that China’s after-sales auto service industry was worth 600 billion RMB. That number could reach 1 trillion yuan by 2018. It is a huge opportunity for Online-to-Offline (O2O)apps. Since the beginning of the second half of 2014, on-site car washing services have been flowering everywhere. However, the competition is fierce and some businesses already closed. In 2015, we can still count over 50 apps offering on-site car washing service and many WeChat numerous public accounts also offer the possibility to book car-washing appointments using the users’ GPS location. We provide here a list of companies offering onsite car washing services – not exhaustive of course and we will be glad to add more based on the recommendations of our blog readers! 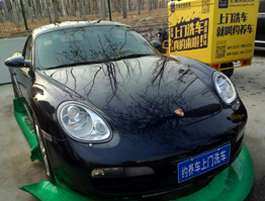 Founded by a German team in September 2014, the 呱呱洗车是鸿叶软件(北京)有限公司 is one of the leading company in Beijing, being one of the most convenient and efficient onsite car washing service. Visit their website to download the app. You may need the help of a Chinese friend if you can’t read Chinese. 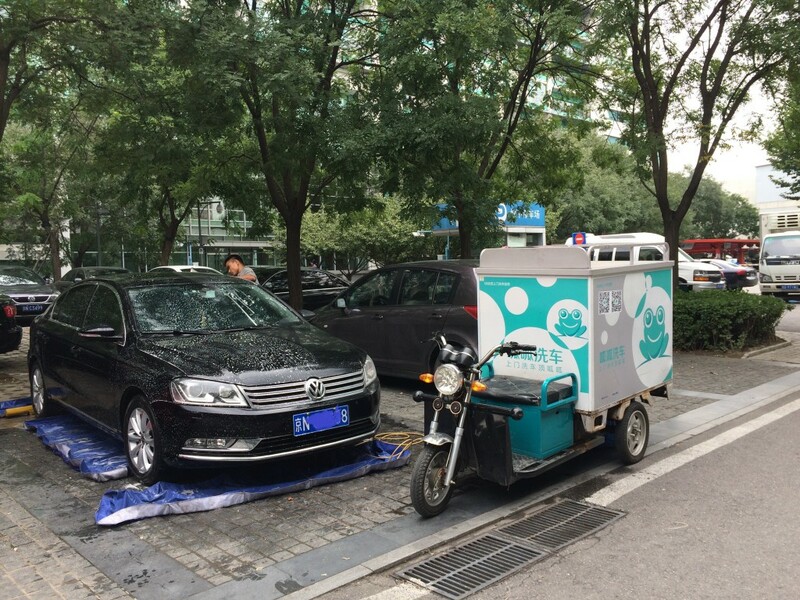 The staff receives high incentives, as they are required to wash 150 cars per month and receive extra money if they reach 300 cars / month: 3000 RMB basic salary doubled if they clean 300 cars! 2) check the model, the color and the plate number of the vehicle, as well as eventual crashes and breakage. The staff will upload the pictures. 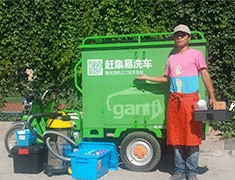 This Tongzhou based onsite car washing service enterprise claimed 30,000 customers last June 2015. The company started to operate in January 2015. Available not only in Beijing. You can book from their website or using the APP. E-vehicles: no lottery for license plates!